Digital marketing is always evolving, thanks to new tools, technology platforms and changing audience behavior. To make sure I don’t fall behind the marketing pack, I follow these four blogs and publications for the latest insights, research and inspiration. When an Internet giant like Google speaks, you probably want to listen. 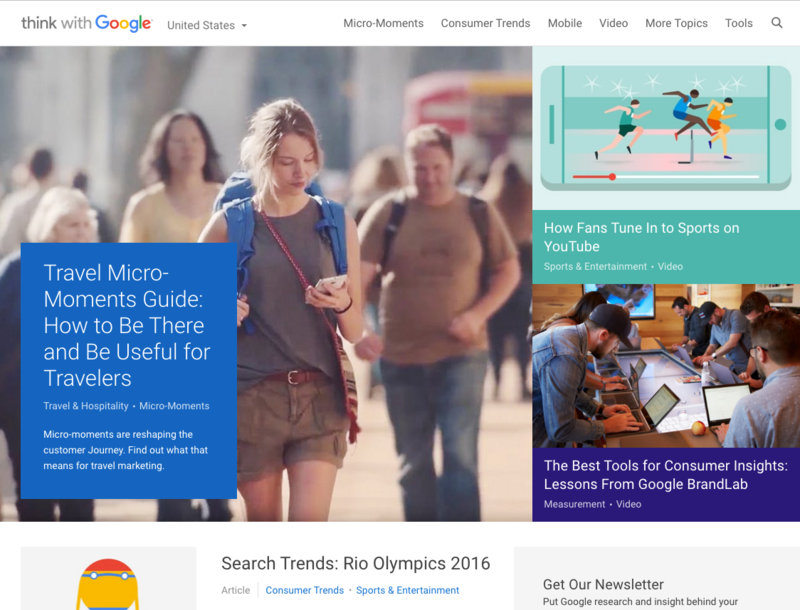 Think with Google captures all the latest current events, consumer trends and data and adds context on how it could impact marketers’ work for their brands. Take this summer’s Olympics in Rio, for example. Think with Google recently published a quick and fun article about top searches during the games and why brands have to think beyond sports for Olympic video marketing plans. Spoiler: Apparently, people who were searching for information about cycling also were searching for rice cakes. They say a photograph is worth a thousand words. Create, Adobe’s online magazine, must be worth a million. 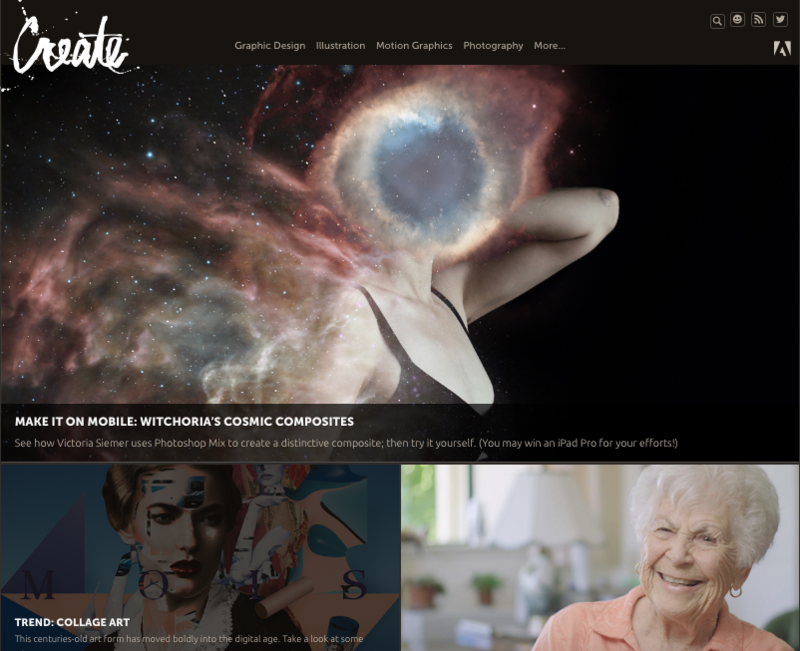 Create regularly publishes features on photography, graphic design and illustration, among other topics. It posts tips and advice on challenges that creatives typically face, such as creative block, and how-to guides, including building a brand in real time and using color more effectively in photos. 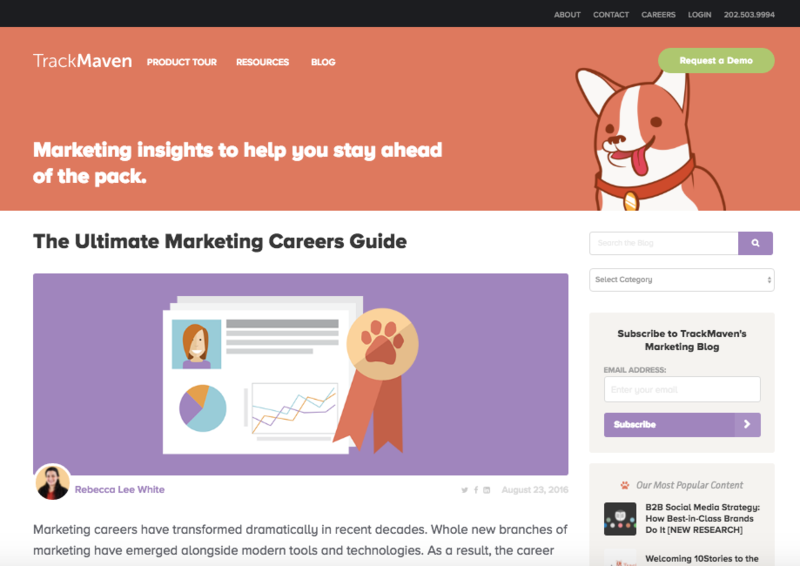 TrackMaven’s blog is a favorite of mine, not only because their company mascot is a corgi (and I repeat, a corgi), but because they cover a wide variety of content strategies and platforms. Among the topics they cover are SEO practices, emerging social media such as Snapchat and updates to existing platforms such as Instagram, with its new Stories feature. TrackMaven also hosts live webinars, which I have found very useful, that you can view afterward. 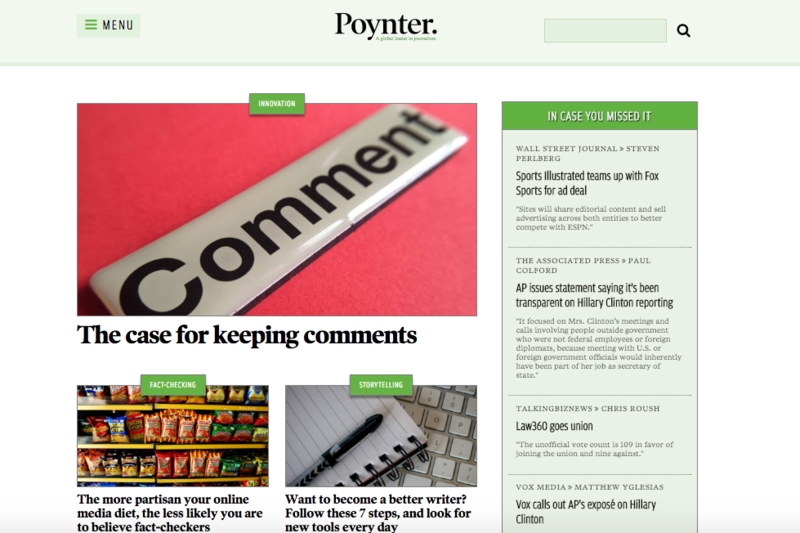 As a former reporter, I’ve always had a soft spot for Poynter. It’s a journalism blog, but a lot of the challenges the news industry faces in its high-speed migration from print to web mirror what marketers experience regarding content publishing strategies. Some news organizations, such as The New York Times, are investing more in their interactive content; others are wondering how best to use social media to lift their content up in terms of engagement and traffic. Nieman Lab and Northwestern University’s Knight Lab also are great blogs to keep an eye on for content publishing practices.